Mastercraft Home Remodeling offers Inside or Outside Home Painting. 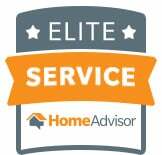 We are Affordable Home Contractors. Your home is one of your most valuable assets. When it is in need of some TLC, it’s time to call the Temecula professional painters for home painting. Over time, the exterior of your home will get wear and tear. You will want a professional painter who knows what they are doing. We guarantee that your home will look great. Mastercraft Home Contractors can handle any size job. No job is too big or too small. Our staff offers a painting service for everything. We can paint the wall of your bathroom to painting the entire exterior of a ten bedroom mansion. We are a painter near me. Our team is trained to choose the best style of home painting to suit your needs. We use durable, long-lasting and high-quality products. We can help you decide on a color scheme, provide stain, and paint removal services. Our experienced and qualified team of home contractors works fast, and provide a 100% satisfaction guarantee. At Mastercraft Home Contractors, we service the entire Southern California region. Best home remodeling services in Temecula. Give us a call today about your project. We will set up a time for a FREE QUOTE and discuss your painting options.